After blogging mostly about natural hair, I decided it was a time for a change because, well, my life changed! I got married. Became a mom of two littles. This space is where I share natural hair and beauty tips, as well as a glimpse into my life as a working mom and wife. 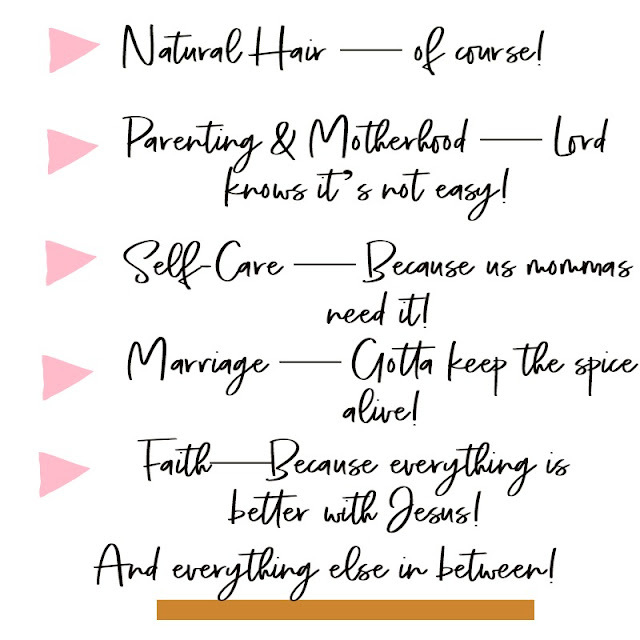 Whether you're learning how to get the best twist out, the best learning tools for your toddler, or how to keep your faith in Jesus, there's a little something here for everyone. So if that's your thing - you know, life- then this the place for you! Since then, Napturally Dany has evolved into much more than natural hair talk! After getting married, finishing college, becoming a mom to my daughter, Leilani in 2016 and my son, Josiah, in 2017, I discovered a new purpose and passion when it comes to the type of content I want to curate in this virtual space. 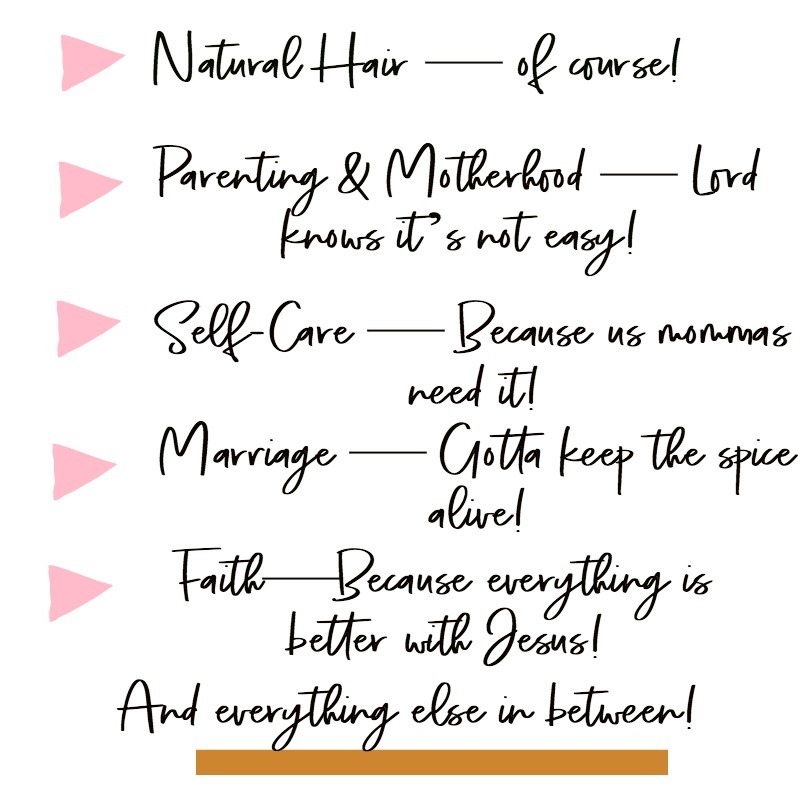 The new directions now shares my point of view not just on natural hair and beauty, but as a wife, a mother, woman of God, and lifestyle enthusiast. So, no. Nothing fancy or any rocket science here. Just glimpses into my everyday life – beauty, motherhood, marriage, self-care— you know? That sort of thing. 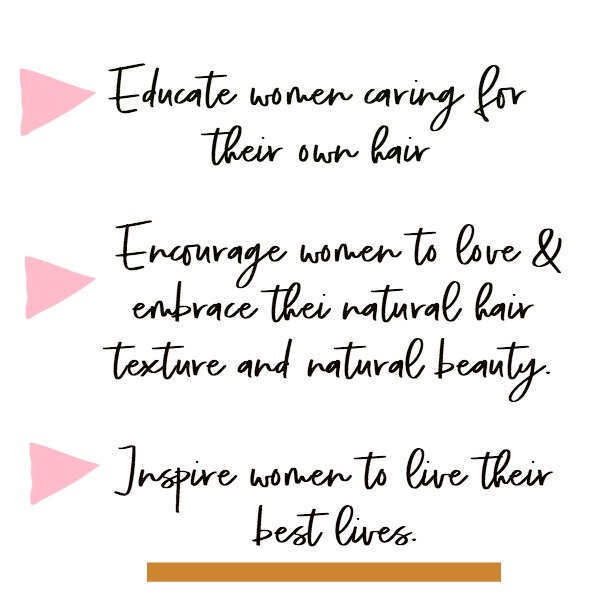 Napturally Dany is a lifestyle blog dedicated to inspiring, educating, and empowering millennial women – wives, moms, and naturalistas alike—to be the best version of themselves and live their best lives, whether it be the blooming creative, the fab naturalista, the chic mom and wife, or the beauty bombshell inside of you. 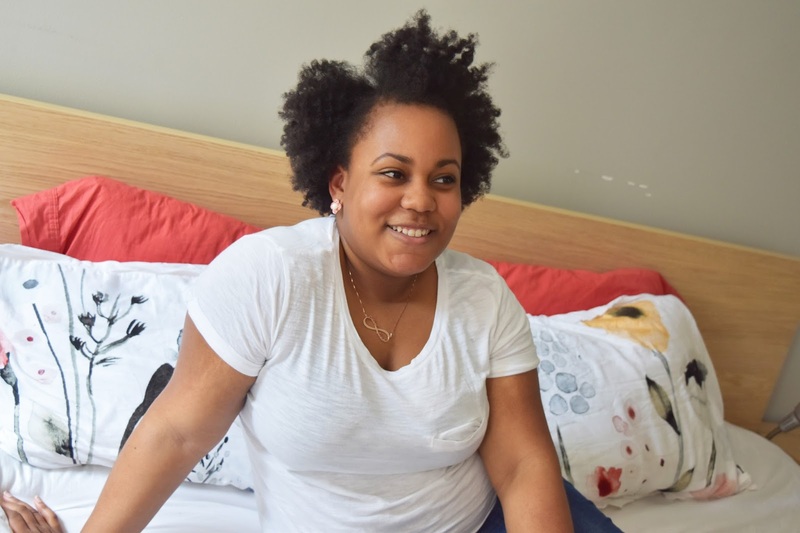 Here at Napturally Dany, I share everything from practical natural hair care tips, nuggets of encouragement for moms and wives, and stories from my own experiences. I hope this space reaches young women just like me and encourages women to live, love, and embrace who they are naturally, one post at a time.